module Lib ( someFunc ,add1 ) where import Data.List add1 :: Int -> Int -> Int add1 x y = x + y + 1 someFunc :: IO () someFunc = do print $ sort [5,3,4,2] putStrLn "aaa" putStrLn "someFunc!!" main = putStrLn "Test suite not yet implemented"
cpphs-1.20.2 depends on old-time-1.1.0.3 which failed to install. 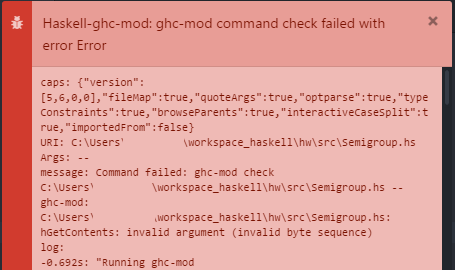 ghc-mod-5.6.0.0 depends on old-time-1.1.0.3 which failed to install. 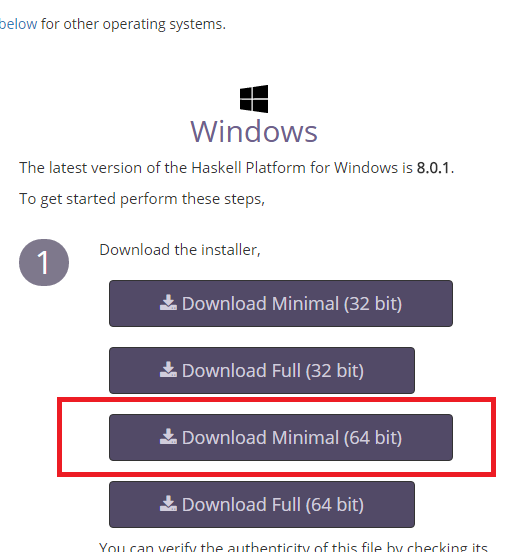 haskell-src-exts-1.17.1 depends on old-time-1.1.0.3 which failed to install. hlint-1.9.35 depends on old-time-1.1.0.3 which failed to install. // Warning: generated file; your changes could be lost when a new file is generated. #I __SOURCE_DIRECTORY__ #r "../../packages/FParsec.1.0.2/lib/net40-client/FParsec.dll" #r "../../packages/FParsec.1.0.2/lib/net40-client/FParsecCS.dll" #r "System.Core.dll" #r "System.dll" #r "System.Numerics.dll"
// Warning: generated file; your changes could be lost when a new file is generated. // Warning: generated file; your changes could be lost when a new file is generated. #I __SOURCE_DIRECTORY__ #r "../../packages/FParsec.1.0.2/lib/net40-client/FParsecCS.dll" #r "../../packages/FParsec.1.0.2/lib/net40-client/FParsec.dll" #r "System.Core.dll" #r "System.dll" #r "System.Numerics.dll"
You can “clone” the source code using Mercurial (HG) or you can download it as a zip‐file.